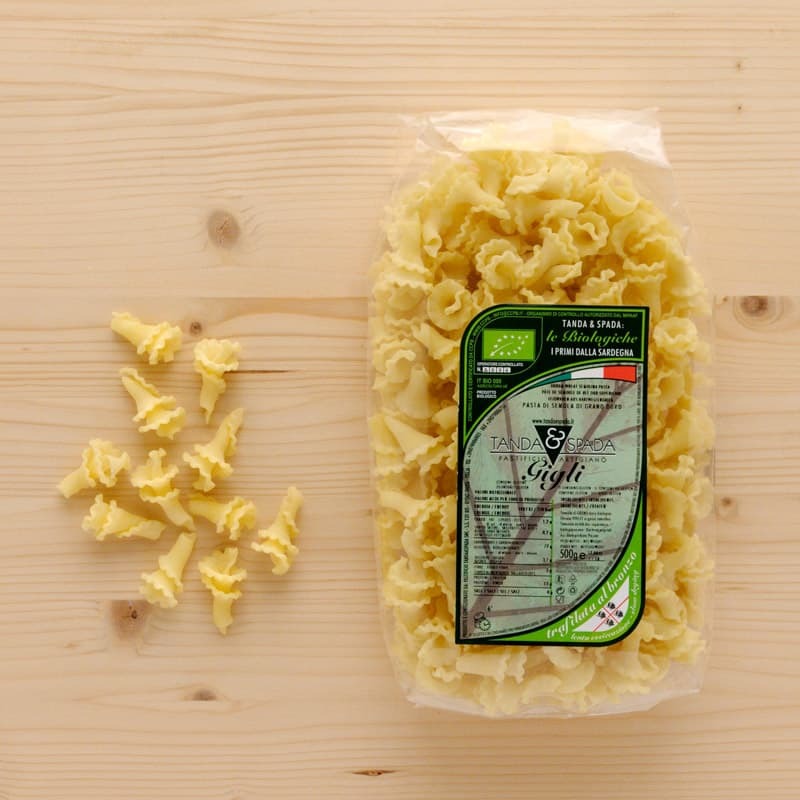 Our organic gigli is made with the finest durum wheat semolina. It's shaped like a cone with a ruffled edge, or a bell-like flower, like lilies, where the name come from. We recommend to serve with our seitan sauce and smoked ricotta on top.